Calling the game’s output “fake HDR,” Eurogamer’s Adam Fairclough took screenshots from the game and mapped their luminescence, recording it in nits. This level of nits was converted into colors, with the color of parts of the image tweaked to show the level of luminescence. These colors were then graded on whether they were SDR or higher. 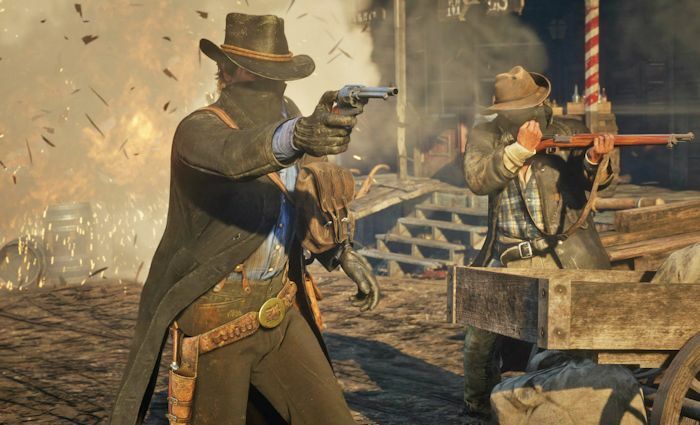 The RDR2 screenshots showed mostly a mix of yellow, orange, and gray: showing that the game’s HDR output does little for it. He does point out that this isn’t unique to Rockstar’s current sequel, because the Xbox One port of Nier Automata has the same fault. No comment yet from Rockstar.